New Delhi, Dec 19: Chunky circular earrings and hoops look nice on long face type but round shaped face type should steer clear from them. So, factors like shape, size, kinds of metal should be considered while buying a pair of earrings, suggest experts. * Oval face shapes have a rounded hairline and jaw. Short to mid length tassel earrings are great but anything that falls at your jaw or below with make your face appear longer than it is. Studs and triangular earrings will complement this face type the best. * Triangle and square face shapes: Both these face shapes have a nice strong jawline. Try earrings that are rounded at the base and hit at, or below, the jawline to add some curves and balance a square jaw. * Oblong and rectangle face shapes: Like oval, rectangle and oblong face shapes have more length than width. Big earrings are more suited including the earrings with a rhombus shape. 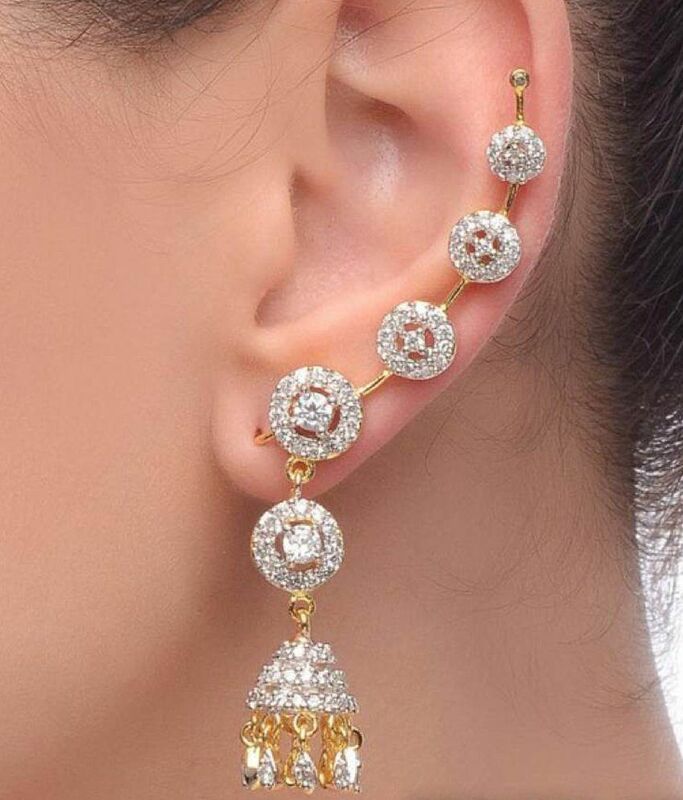 * Round face: Long drop 'kundan' earrings or danglers are best for this face type. Earrings that begin with a thin line and have a larger interesting area at the bottom are ideal for this shape. Stay away from chunky circular earrings, hoops and button studs as these will highlight the roundness. * Heart shaped face: If you have a forehead that is wider than your cheeks, go for chandeliers and tear-drop earrings that end at or above the chin. * Long and narrow face: Choose earrings that emphasise on the width of your face. Studs, clustered, earrings, short danglers and hoops in a medium to large size will give the illusion of a wider face and highlight your eyes. * Diamond: With a diamond face, you want to balance the angles of your face. Wearing chandelier earrings that are larger at the bottom will balance your face. Studs or earrings close to the ear are recommended. Avoid earrings that have the same shape as your face.